I’ve always thought of these pre-mixed alcoholic drinks as i bit of a cheaters way, takes the fun out of making it and generally just not seeing it as being like the real thing, however, Jim Beam and Coke, i’m pleasantly surprised! Now i’ll admit right now that Jim Beam is near the top of my bourbon list so i wasn’t expecting to dislike this product, and first smell of aromas doesn’t give you that fresh Jim Beam & Coke that you would get if ordered at a bar. My initial reaction to the first taste was – wow. We’re not talking ‘hold on to your hats!’ kind of wow but it genuinely surprised me how well the coke isn’t the centre piece to this drink. You definitely get all the Jim Beam flavours coming at you, albeit i’d probably say you’re looking at a 25ml shot for 1 can so it’s not too strong (they do have the can saying 4.6% vol). The low carbonated coke doesn’t have you feeling full of air either which helps and the mouth-watering after-taste just confirmed my taste buds wanted me to finish the can – which i did, and damn i’d buy it again. Overall, pleasantly surprised. Not as good as the real thing but a very good substitute if you ever fancy a quick throw together you can keep in your fridge. 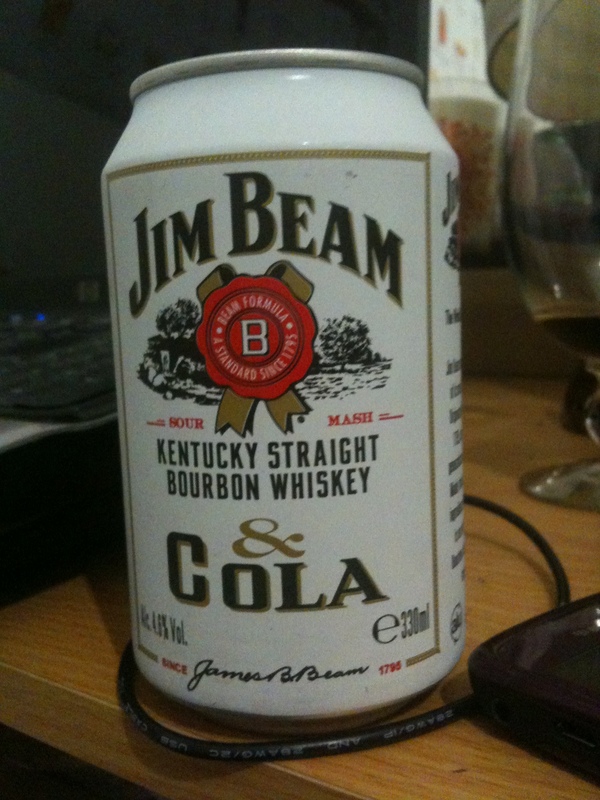 Does Jim Beam still have Jim Beam & coke in a can? If so how can I get it?